My brother Sam is a part of the Friendship Circle and made so many good friends and fun memories there. We are such a big part of the friendship circle and having a sibling who is a part of it show me how great it is. He has made so many fun memories and friends there.The Friendship Circle is a way to spread the message that kids with special needs are just like us just their brains process things differently and just as we can make friends they can too.We would really appreciate it if you would donate to our walk team to support Sam and help fundraise for the Friendship Circle of Los Angeles to help celebrate Autism Awareness, Kids with special needs, and our unique selves and abilities. We would really appreciate it! Remember, they don’t have disabilities, they have superpowers! We're about to hit $1000, help us reach this huge accomplishment! We're doing so well! Come help so we can reach our goal! Well done Ella. Great cause. Miss you! Well done Ella. So proud of you. Oupa and Granny. You are an amazing sister and we are so happy to support you and your family! 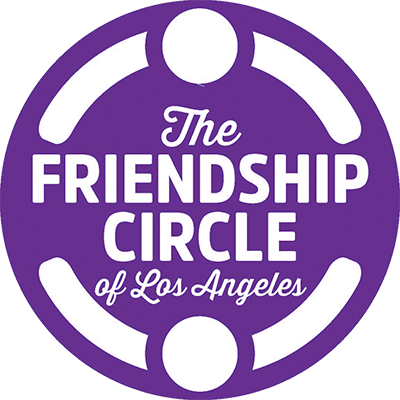 Please Donate to the Friendship Circle! We would really appreciate it! GO TEAM SAM!